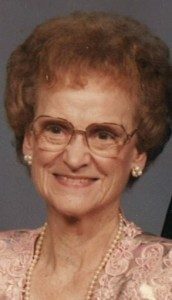 Obituary – Born, Inez Lorraine (West) « Perry High School Alumni Association, Inc.
﻿- was in the band for the past three years, in the orchestra for two years and in this year’s senior play. Lorraine is the daughter of Mr. and Mrs. A. E. West of 935 Fir street and was born in 1920 at Drumright. She has attended Spencer, Lucien, the Perry Lutheran school and Perry high school. She has worked for the past two years in Smith’s Variety store and is planning to continue there of after graduation. Graveside services for Inez Lorraine Born, 92, Lawrence will be held at 1:00 p.m. Monday, December 23, 2013 at Morrison Cemetery in Morrison, OK. She died Monday, December 16, 2013 at Cooper’s Home Care in Lawrence. 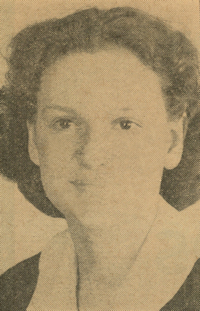 Lorraine was born December 20, 1920 in Drumright, OK the daughter of Alta E. and Inez L. (Moore) West. She was a homemaker. She was a member of the Immanuel Lutheran Church. She married George L. Jones on November 21, 1944 in Lake Charles, LA. He preceded her in death on December 19, 1965. She later married Paul J. Born on April 17, 1993 in Eudora. He preceded her in death on March 8, 2007. Survivors include one son, Terrance Louis Jones, Morrison, OK; seven step children, Ken (Donna) Born, Crestview, FL, Marilyn Altemus, Poquoson, VA, Phyllis Stone, Lawrence, Diane (Mike) Nichols, Wichita, KS, Michael Born, Eudora, Doug (Ginny) Born, Poquoson, VA, Nancy Boyd, Belleview, NE; eight grandchildren; 15 step grandchildren, 23 step great grandchildren; and four step great-great grandchildren. She was also preceded in death by one son, Timothy Louis Jones; and her siblings. The family will greet friends from 2 – 4 p.m. Sunday, December 22, 2013 at Warren-McElwain Mortuary in Lawrence. The family suggests memorials in her name to the Charity of Donor’s Choice and may be sent in care of the mortuary.